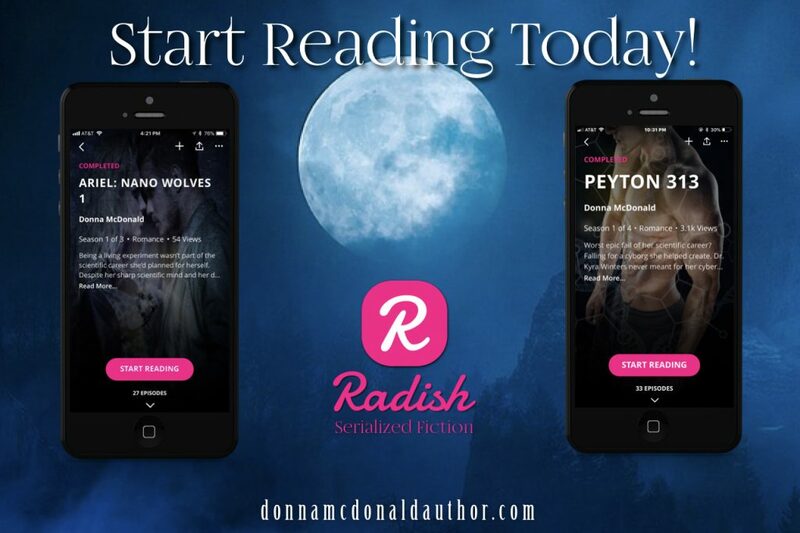 Now You Can Read Me On Radish! What is Radish? Besides being my new publishing venture this year, Radish Fiction is a brand new way to read my stories. They have easy to use reading apps that go on phones and tablets so you’ll always have your reading with you. You can download the Radish app from Google or iTunes. The best part of reading via Radish is that you pay only as you read the story. The first three chapters (episodes) are always free to try. After that, it costs you a few coins (about 12 cents worth) to open up the next episode. If my book is free on the regular sale channels, I’ve also made all chapters (episodes) free at Radish. Peyton 313 and Never Is A Very Long Time are free there.